May help support joint and tendon health. May help support skin health during UV and sun exposure. May help support eye health. May help support anti-aging through cellular health. May help support healthy immune function. May help support the body in recovery from exercise. Natural Hawaiian Astaxanthin (from haematoccocus pluvialis microalgae), high oleic Safflower oil, gelatin (bovine), glycerin, purified water, natural tocopherols. Adults: Take 1 - 3 capsules daily with food. Bioastin is best absorbed when taken with food or meal that contains fat. Below are reviews of Nutrex BioAstin Astaxanthin - 60 x 4mg Gel Caps by bodykind customers. If you have tried this product we'd love to hear what you think so please leave a review. After reading a magazine article recommending this product and then seeing all the positive reviews on this website I ordered the 4mg gel caps for my mum and I and we couldn't wait to take them and reap the benefits. Unfortunately we both suffered with the same side effects - feelings of depression/low mood and painful joints so we've had to stop taking them and won't be buying any more. I therefore don't rate this product at all and wouldn't recommend it. This is one of my regular suplements. Bodykind, as always, offers top drawer products. This one is good for all the uncomfortable aches of old age. Have left a review before...if anything the results seem to be cumulative and better. Great company, great service. Great product , I am always purchasing this brand and product, I also feel more energised . Am on the second bottle. My hairdresser told me my hair had become much thicker. At 75 thinning everything is no surprise. But all the products, (algae, spirulina, kelp, and chlorella and especially the BioAstin version of Astaxanthin are a great way to provide an ageing body with what it needs! Wonderful, I was in so much pain in my hips and knees. Since being on this product, I think about 3 months, I no longer suffer anguishing pain. I bought this product due to the BioAstin having the best ratings from various well established Nutritionists and doctors in Functional Medicine worldwide. I have only been using this product for a month or so for oxidative stress and certainly have more energy. 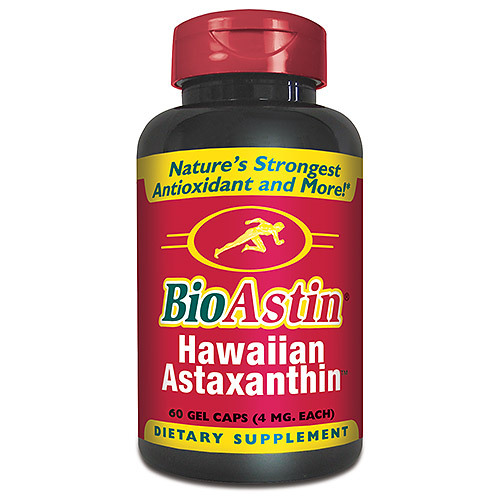 BioAstin Hawaiian Astaxanthin is still the best product on the internet. I have been taking it for more than eight years. I use the 4mg gel Caps to vary intake between 8mg and 12mg. bodykind always delivers the 270 gelcaps size within four days of ordering it. Couldn't ask for any better service. BioAstin Astaxanthin, from Hawaii. Still the best product. The book 'Natural Astaxanthin by Bob Capelli' explains the difference. BioAstin Astaxanthin is still the best product on the market and I am glad that I can get it on the bodykind.com website. The price is the lowest on the internet. After doing a lot of research on Astaxanthin, this product seems to be the best of the best. Its brilliant for oxidative stress and a good price. 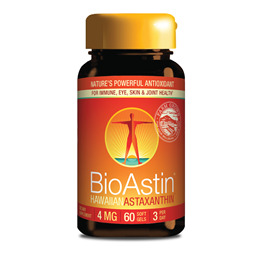 I have used various brands of Astaxanthin, but Bio Astin is by far the best of the lot. Great results in just a short time. The best made Astaxanthin in the world. Not all Astaxanthins are the same. Hawaiian Astaxanthin is the best one. Others may have the same compounds but only Hawaiian has the proper molecular code. Best Astaxanthin on the market. Fantastic quality straight from Hawaii, so glad Bodykind sells it at such a good price! Nutrex BioAstin Hawaiian Astaxanthin is the best product available on the market. Read the book "Natural Astaxanthin" by Bob Capelli. He explains about the different types of Astaxanthin and how they are made. I love astaxanthin brilliant supplement the best for joints aswell as skin hair and nails and the brain.. Brilliant product - really miss it when I don't take it. So good for hair & skin too. BioAstin Astaxanthin is a natural health supplement with powerful antioxidant benefits. BioAstin may help support the body in protecting itself from the harmful effects of UV radiation.